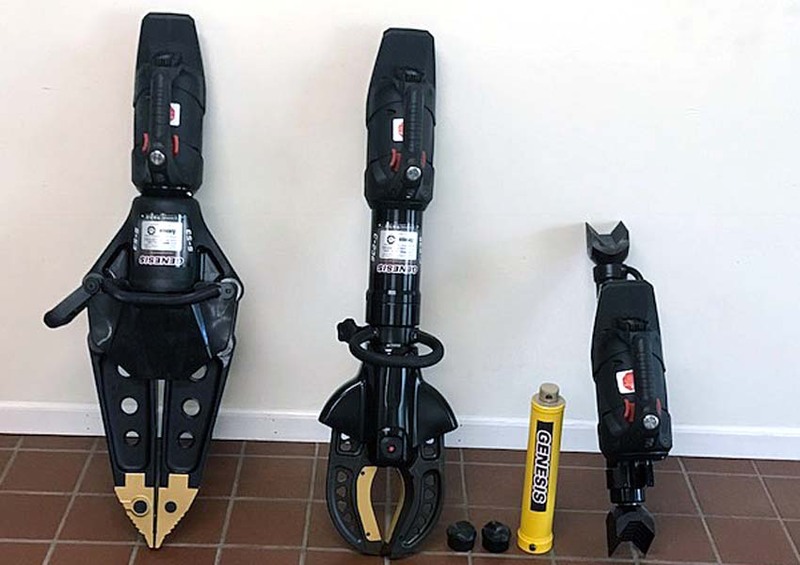 The Yankee Springs Township Fire Department has three new tools that will increase firefighter’s flexibility and help save precious seconds and lives when extrications are involved. The new tools are battery operated and can be carried as far as needed to address a situation, unlike the similar equipment’s motor and hoses permanently mounted on Engine 1 that extend just 75 feet from the truck. 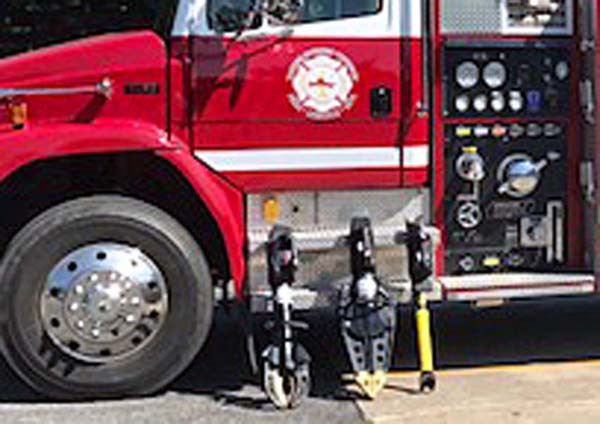 “The tools are a great asset to the fire department in that we will now be able to respond to emergencies where we would not have been able to do so before because these tools are more portable and versatile,” said Wayland Deputy Fire Chief Dan Miller. Delivered on Aug. 8, firefighters have practiced with them since they were delivered. Steve Funk with Rescue Resources, will give final training on the new tools on Aug. 28, from 7 p.m. to 9 p.m. “We urge anyone to stop by and view the tools as they are being used that evening,” Miller said. The new EFORCE S53 Spreader spreads up to 31.5 inches, to open doors of vehicles that can’t be opened normally, as well as other uses, including lifting or spreading things should someone become entangled in a piece of machinery or farm implement, Miller said. The AC236 NextGen Cutter with a blade opening of 7.9 inches will cut roofs and door hinges on vehicles. The Ram has the capability to push things open and extends from 21 inches to 36 inches with a 12-inch extension, if needed, Miller said. Each tool comes with two batteries and a charger, he said. The Genesis Rescue Tools were purchased from Rescue Resources. The Yankee Springs Township Fire Committee approved the purchase with final approval given by the Yankee Springs Township Board. Photos: (left) The S53 Spreader, AC236 NextGen Cutter and the Ram displayed with Engine 1 at the Yankee Springs Township Fire Station on Payne Lake Road. lbelow) A close up of Yankee Springs Township firefighter’s newest life saving tools.